"Adding to the disc’s quality is the sound: exceptionally clean and natural. This is one of the most distinguished releases yet in Britten’s centenary year." "Editor's Choice ... Gardner's BBC Phil leads the rough-and-tumble with its sharp-edged wind and brusque brass ... the exuberant Howard Shelley matches them every inch of the way." "Five Stars ... Howard Shelley and Edward Gardner create something more mercurial, Gardner conjuring that lithe, high-tension drama he has so successfully achieved with Britten’s stage works ..."
"... a desirable release of two marvellous Britten concertos that deserve to be far better known. The playing from soloists Shelley and Little is exemplary. They are accompanied by the outstanding BBC Philharmonic under Edward Gardner’s sensitively controlled baton." 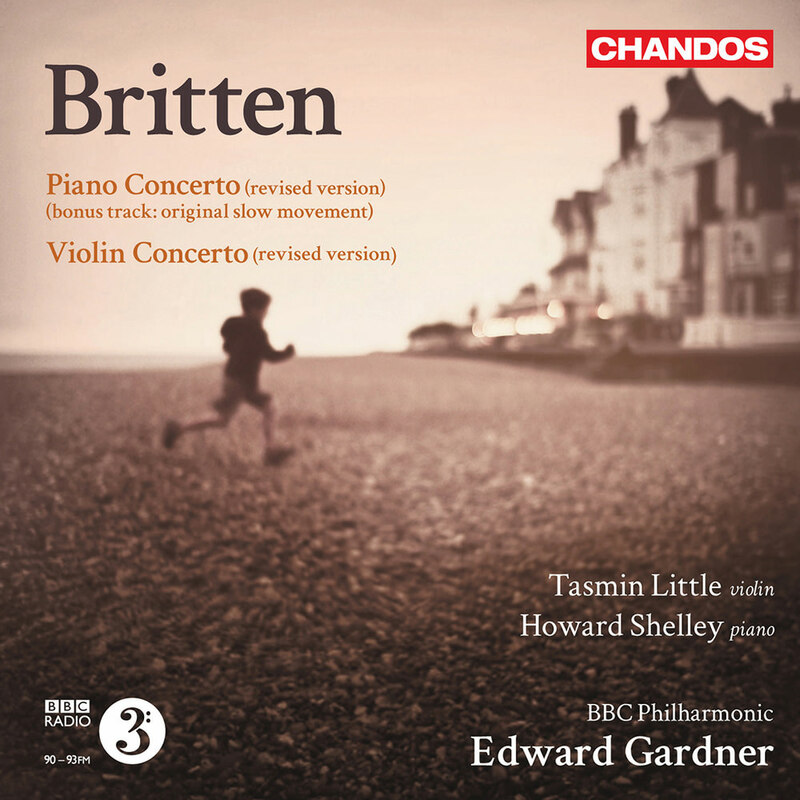 Released in 2013 to celebrate the 100 year anniversary of Benjamin Britten's birth, this album presents two of the composer's great concertos in their revised versions, performed by the BBC Philharmonic Orchestra under Edward Gardner. Tasmin Little and Howard Shelley are the soloists in the Violin Concerto and Piano Concerto respectively.